Tired of seeing all of those ads in your browser? The flashing ones make for a terrible browsing experience, and those rollover ones are just downright annoying. If you don't want to be bothered by them again, you've got a few choices, depending on what web browser you're using. 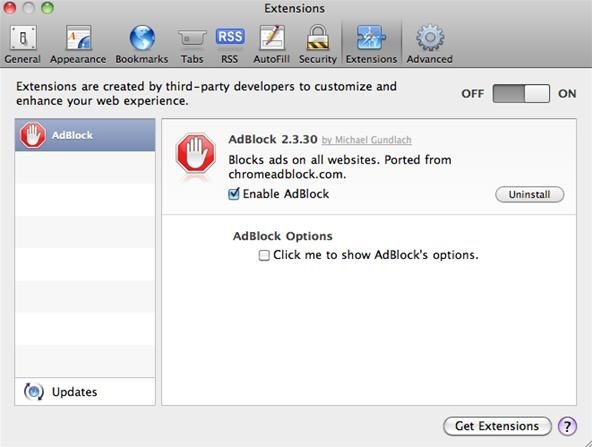 If you've got a Mac, then AdBlock for Safari is perfect for removing those pesky banner ads. It's simple, easy to install, and powerful at junking those ads. And once you get it set up, you can just forget about it and let it do its work. Just download AdBlock for Safari and double-click on the extension from your downloads window. Press Install, then refresh any webpages you have loaded to see it in action. You can then manage this plugin via Safari's Preferences, in the Extensions panel. Alternative browser: AdBlock for Chrome. 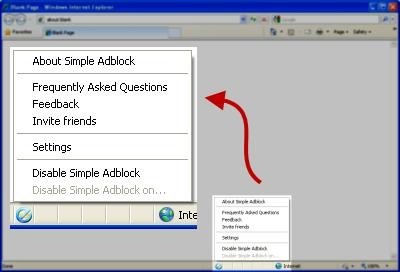 If you fancy Windows, then Simple Adblock is the your best and easiest option for Internet Explorer, and works with IE7, IE8 and IE9, in both 32- and 64-bit versions. To get started, just download it, then run the installer, select your country, and enjoy. After installation, the menu for Simple Adblock lies in the bottom of your web browser, in Internet Explorer's status bar. When you click on the icon, the menu will appear, where you can disable it, send feedback, and get updated to the newest version. AdBlock Plus 1.3.6 is an add-on extension for Firefox that strips the advertising from most webpages. It also works for SeaMonkey, Chrome, and the Windows-based K-Meleon, along with email client Thunderbird, and desktop web app program Prism. It contains over 40 filters, with the ability to add your own. The video below shows you how to install AdBlock Plus, uninstall, and get help. Not so much a plugin, Floppymoose blocks ads in multiple web browsers and online email clients by way of CSS file. Once you've downloaded the correct CSS file for your browser, Flash ads, ad images and ad iframes will no longer appear on webpages. If this sounds too complicated for you, don't worry—the website lays it all out for you, explaining everything in an easy-to-read format. It works with Gecko-based browsers (Mozilla Firefox, Camino) and Safari, along with email clients Gmail and Thunderbird. Just visit the website to see which folder to drop the downloaded CSS file into. 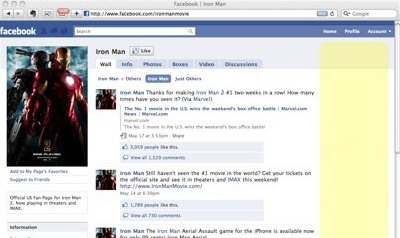 FaceBlock is a must if you despise those Facebook ads whenever you're socializing online–too bad it's only for Safari. It removes the sidebar ads on Facebook pages, as well as other ad units incorporated on the page, making it easier to focus on what's important—your friends. Also see, How to Stop Advertising Companies from Tracking Your Online Activity for Targeted Web Ads.